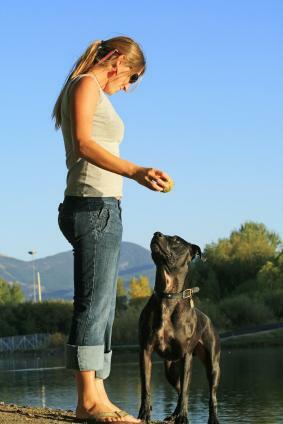 You should know how integral the steps are in choosing a dog obedience trainer. Your dog is like a child who will be going to school and spend the day with his teacher. Thus, you must ensure that the institution will be convenient for your pet and that he will be comfortable with the trainer. You see, obedience training classes must not be educational alone but also fun for most of the part. If your pet enjoys the classes, then, he is more likely to learn the commands easily. When looking around for a trainer, it matters that you know who to trust and what to look for. After all, anybody can call themselves dog trainers and present their business cards to you. To ensure that your dog is going to get the best training that will correct his unpleasant behavior, the dog obedience trainer must have the necessary knowledge on how to do things. First, look into his certification and how he was able to get it. He has to be certified through some specialized organizations which actually train dogs in line with services work. Beware though because there are too many online courses these days which promote a short-term course for a certain fee and then provides the certification to individuals. Always ask the dog obedience trainer himself about the certifications that he has and how he obtained him. Verify the number of years that the trainer has been doing it professionally. There is a difference between trainers that train dogs as a matter of a hobby and those that do it as a profession. Although the years will not actually determine the capacity of a trainer to educate a dog, it will still reflect something about his passion in his chosen profession. Check out the license of the trainer. Is he a licensed individual? Does his business meet all of the requirements of the city, the country, and the state? Does he adhere to the federal regulations? All of these should be met before you can completely put your trust on him. For you to be able to be familiar with the teaching methods, it is important that you attend the trainer’s class. Observe how the clients and their dogs react to the methods used. The trainer should not only be accommodating, kind, and polite to the human students but to the dogs as well. Learning must be fun for all human and animal clients. The trainer should also give out clear instructions and provide assistance whenever necessary. An honest trainer will tell you the advantages and disadvantages of the methods used. Check out the facilities and equipment used. Bullying the dogs is a big NO and the dog training methods should not cause the dogs to get stressed and become agitated. The dog obedience trainer should make sure that the environment where the sessions are to be held is safe for the dog’s health. Some vaccines may also be required so the dog will be in the best physical condition. These are just some of the essential guidelines that you must apply when choosing the dog obedience trainer. Keep them in mind and have the best behavioral training for your pet.